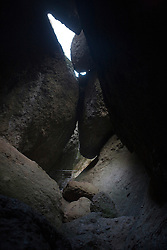 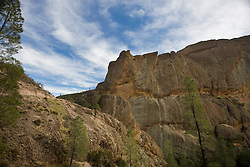 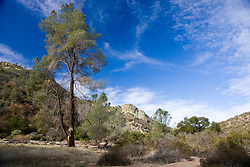 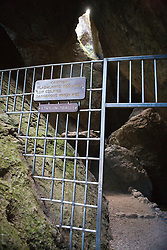 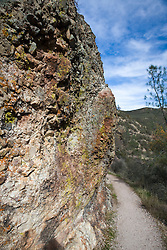 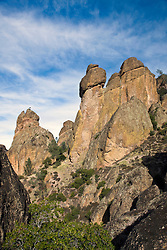 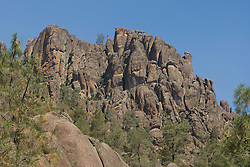 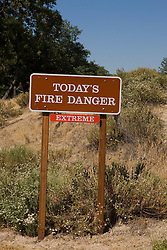 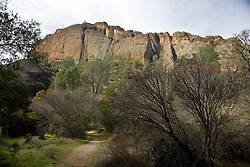 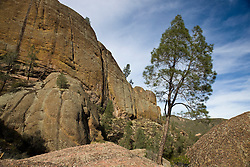 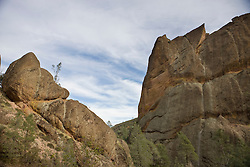 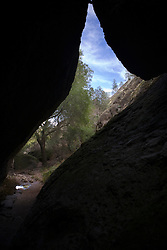 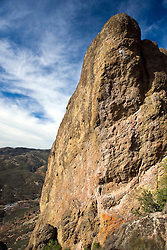 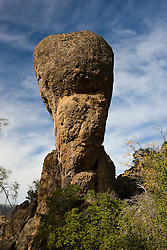 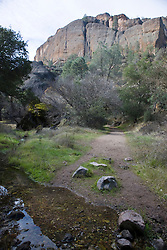 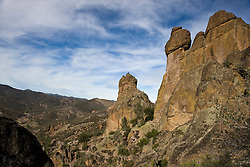 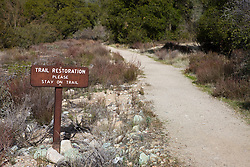 Photographs from Pinnacles National Park, California, United States of America. 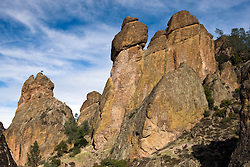 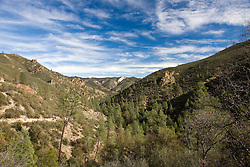 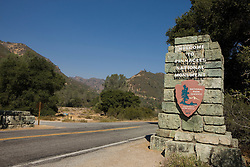 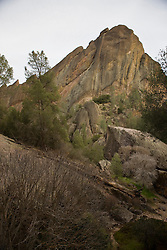 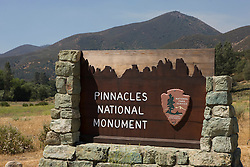 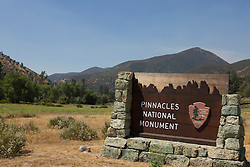 Located south of San Jose and Holister, California, Pinnacles rises out of the Gabilan Mountains east of central California's Salinas Valley. 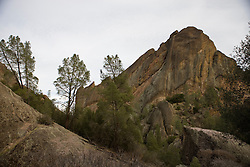 The park contains remains of an ancient volcano that have migrated over 300 miles north over millions of years along a fault line. 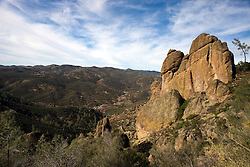 The 59th property added to the U.S. National Park system provides over 30 miles of hiking trails with sweeping landscapes, cave trails, and challenging climbs past massive monolith rock formations.